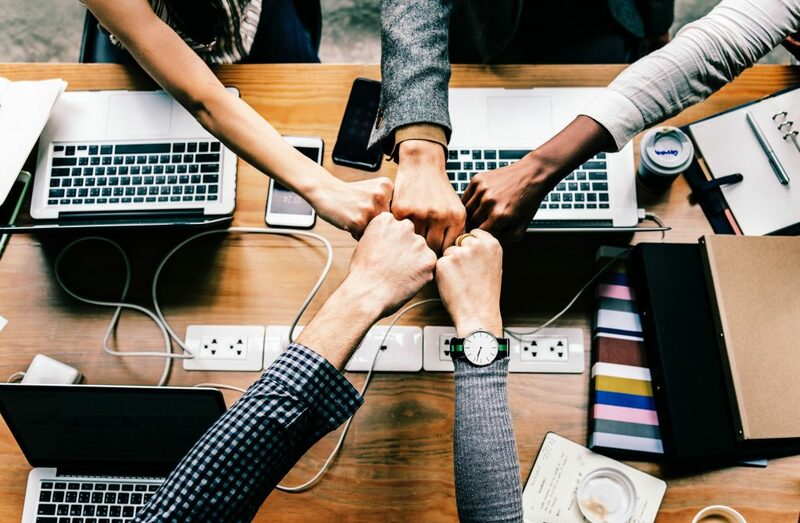 The smart home revolution is helping us shape a futuristic and interconnected world of smart appliances, sensors, and devices that make our homes more automated, safe and secure. Whether you’d want to turn the lights in your room via your smartphone or you’d want to receive an SMS every time your laundry is ready, you can do that with the home automation devices available on the market. However, the IoT and Smart Home world also allow people to embrace their creative ideas and out-of-the-box thinking. 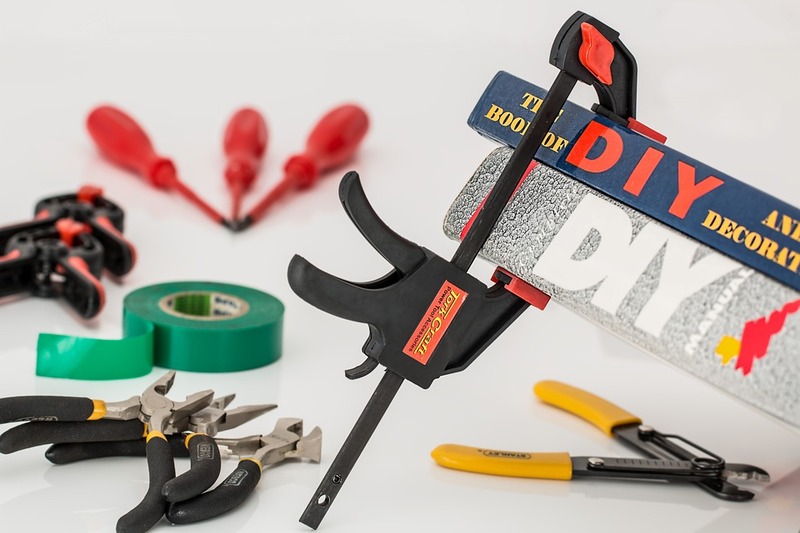 With a huge number of do-it-yourself options available, anyone can start making their homes more intelligent with the help of a few simple interconnected IoT boards. While most people go for the more obvious smart home solutions, others create incredibly imaginative and sometimes downright weird IoT devices for the smart home. With that in mind, we’ve decided to gather a collection of 7 of the most extremely curious and creative IoT projects for the Smart Home. Without further adieu, here they are! Do you want your smartphone to alert you every time your dog poops? Now you can do that! Embracing the Internet of Things, Eric Tsai has decided to automate virtually everything in his home. While most of his projects are quite usual and straightforward, he has a few rather obscure ideas. One of them is the prototype dog tracker, that tells you when your dog is pooping. If you always want to know when your pet is doing their deed, Eric Tsai can help you out with his unique IoT project. With the aid of a U-blox GPS module, an RFM69 Wireless transmitter, a ATMEGA328P-PU and a Tilt Switch, Eric Tsai has created a device that calculates and determines when your dog is pooping. The so-called Fido tracker provides you with this information, by using the Tilt Switch to determine when your dog is lowering its back, getting ready to do its business. The device also has some other great features, such as dog tracking and a dog escape alarm. If you are interested, you can go ahead and check out the full instructions and details of the Dog Poop Tracking device, from our friends at Instructables, where you will find his extremely detailed project information. Inspired by the futuristic view of Star Trek, Toby Kurien decided to make his own LCARS smart home interface. He has managed to do that with the help of a Raspberry Pi board and by using Python and the PyGame library to create and program the design and the animations of the interface. While this project doesn’t automate anything, it is nonetheless an incredibly creative IoT project, perfect for any Star Trek fan. If you are interested in learning more about the coding and how to do your own LCARS interface, you can head out to GitHub, where Toby has shared the details and the code of his project. 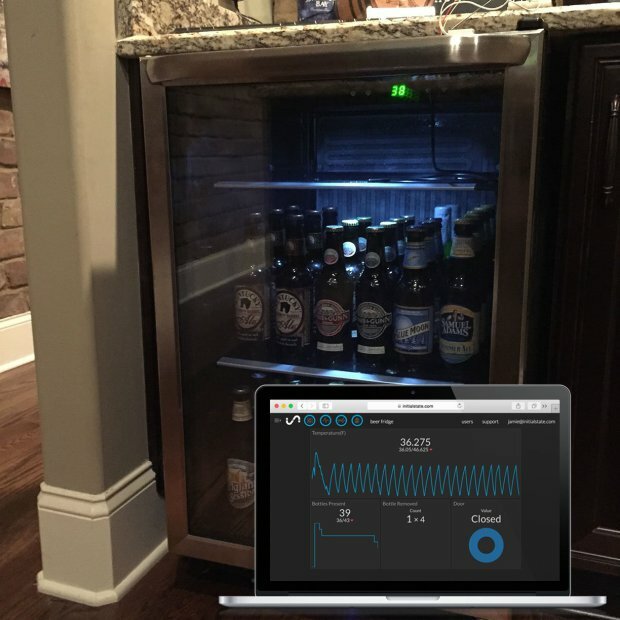 If you are a beer lover, this creative IoT project is definitely the right one for you to check out. A beer enthusiast, Jamie Bailey from Makezine.co has managed to create a smart beer fridge that tells you how many bottles of beer there are in the fridge. He is able to do that with the help of a Raspberry Pi board and by hacking a Wii Balance Board. The smart fridge also tells you when your beer fridge is being opened and integrates a temperature sensor, so you’ll be able to know just at what temperature your beer bottles currently are. The programming is made in Python, and the project is quite moderate in difficulty. If you want to learn more about it, you can head out to Makezine.com for the introduction of the project and GitHub for further details on how to make it and the coding tutorials for the smart beer fridge. Most washers and dryers on the market today have integrated smart home interconnectivity and are able to send you SMS when they are done with your laundry. However, if you don’t have a few hundred of dollars to spend on a new washer or dryer, you can easily make your own smart home DIY solution with the help of Arduino and a few minutes of your time. This curious and interesting IoT do it yourself project has been created by MakerBee from Instructables. 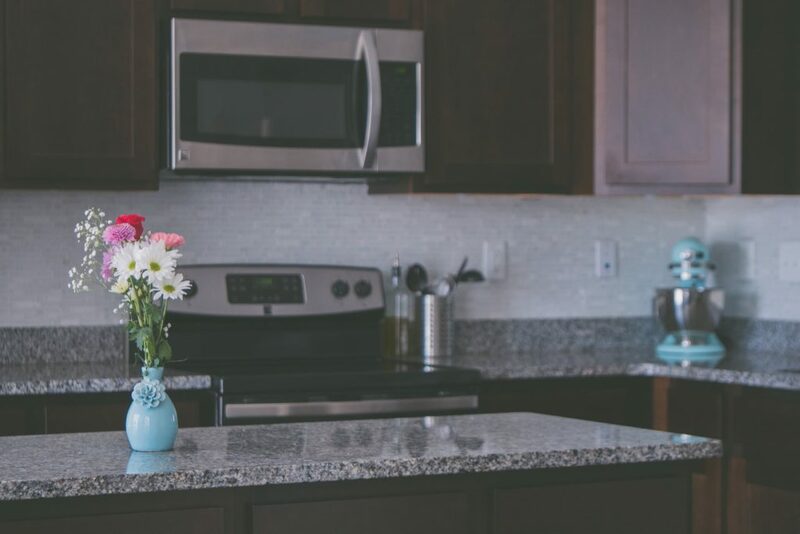 To make your appliances smarter, MakerBee uses a simple Arduino board, a Memsic 2125 dual-axis accelerometer, a SPST momentary pushbutton switch and a few other items to finalize the project, such as jumper wires and USB chargers. 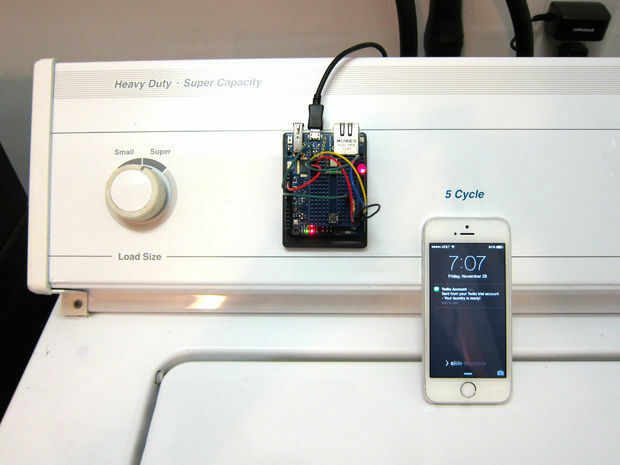 If you are interested in learning more about the project and how to make your washer or dryer smarter, you can head out to Instructables.com where you will find the detailed info and instructions about the project. The robot vacuum cleaner market is full of different automized home cleaning solutions. However, most robot vacuums are just not good enough or don’t manage to deliver the needed smart home cleaning experience for their price. That’s why DIY enthusiasts, like Jack, have decided to take things into their own hands and create a home-made robot vacuum cleaner of their own. To finish the project, Jack has used a number of complicated solutions, including ultrasonic sensors, vacuum systems, dust containers and more. Powering everything with Arduino, Jack has also made a series of detailed instructional videos, you can check out on YouTube. The home-made Arduino based robot vacuum cleaner is certainly a curious and extremely creative, smart home project, you should definitely check out. One of the most infamous and well-thought-out creative, smart home DIY projects is definitely John Schuch’s remote water consumption display. After he had received a water bill for over $5,000, John decided to take things into his own hands and create a smart-home remote water consumption tracker, so that he’s able to know just how much water he consumes. John even applied for the 2014 Hackaday.io DIY contest and manage to get into the semi-finals with his creative project. You can watch his entry video and explanation of the project above. If you want to see the full instructions and learn more about the project, you can head out to hackaday.io where you will find all your needed information and instructions for the project. Today there are over a dozen different and affordable light switch and smart socket solutions for your home. However, people like carjo3000 from Thingiverse simply don’t like purchasing ready-to-install solutions. He rather prefers to make his own little creative solutions that basically achieve the same goal. That’s also the idea behind the servo light-switch smart home DIY project. What’s extremely curious about carjo3000’s project is the fact that rather replacing your light switch with a smart one, carjo3000 uses a small servo mechanically to control an already installed manual light switch. 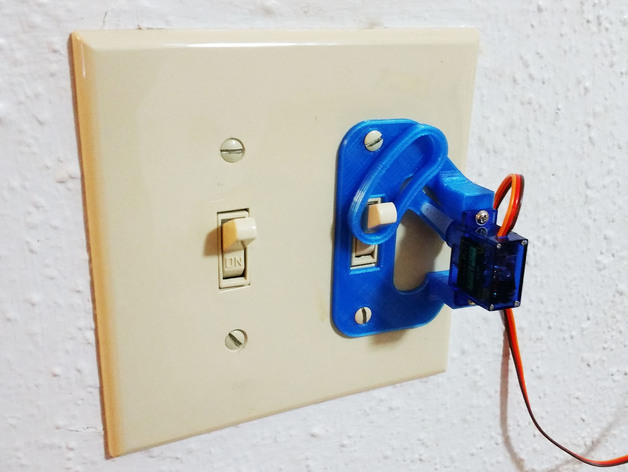 If you want to learn more about the project, you can head out to Thingiverse, where carjo3000 shares just how you can do your own mechanical smart home light switch. There are a lot of curious and creative projects about the smart home, bringing unique and different home automation solutions. While some of the projects are weird, they tend to show the beauty of the IoT and Smart Home world. You, and basically anyone, are able to create whatever your mind conceives with the help of a few simple and affordable devices. With that in mind, be sure to embrace your creativity and start creating your own unique IoT projects and home automation smart home solutions.